Welcome to India, You will be received by Premium India Tour representative at international airport and assisted to your hotel. In the Hotel you will have a brief description of your tour and the representative will hand over your documents regarding the tour, Overnight at Hotel. After Breakfast at hotel drive to Pondicherry. Afternoon sightseeing tour of Pondicherry Pondicherry - Although the French influence is gradually fading, Pondicherry retains a few Gallic accents. Pondicherry's main sights are the Rai Nivas, the Sacred Heart Church and the Sri Aurobindo Ashram. The ashram retreat was founded in 1926 by Sri Aurobindo after whose death the spiritual authority passed to one of his disciples, a French woman known as the Mother. The Mother was also instrumental in founding the city of Dawn Auroville, 10 km from Pondicherry. Its original charter aimed at creating a city of the future where people from India and abroad could live and work together in a spiritual enviorment. Arrive Pondicherry and check-in at the hotel for overnight Stay. Morning drive to Trichy visiting en-route temple or Lord Natraja at Chidambram. And Tanjore. The home of Carnatic music, musical instruments, dance and traditional hadicrafts, Tanjore (Thanjavur) is famous for the Brahadeeswarar Temple. The temple constructed more than a thousand years ago by the Chola King Raja Rajan is an architect's marvel. The Art Gallery and the Saraswathi Mahal Library are also well known places of interest. Later continue driving to Trichy. Trichy is surrounded by the Kaveri water is a 600 acre island town enclosed within the seven walls on the gigantic Sri Ranganathaswami temple. There are no less than 22 gopurams, one of which is the tallest in India. The 72 m high 13 tiered gopuram dominates the landscape for miles around. On arrival check in your hotel. Rest of the time at leisure, overnight at Hotel. Morning city tour of Trichy. During your tour visit Rock Fort Temple, a prominent landmark. There is a Vinayaga Temple on the top. The Vinayaga Temple can be reached by climbing 437 steps cut into a tunnel in the rock. Thayumanaswamy Temple is located, half way to the top and is dedicated to Lord Shiva. It has a 100-pillar hall and a 'Vimana' covered in gold leaf. Also visit Srirangam, just 10 kms from city, is well known for its Vaishnavite temple dedicated to Lord Ranganathaswamy. The 13th century temple is set on a 250-hectare island in Cauvery, connected to the mainland by a bridge. Afternoon proceed by surface to Madurai. On arrival check-in at the hotel. Evening watch the closing ceremony of the Meenakshi Temple. Overnight at Hotel. Morning city tour of Madurai. Madurai is one of the Southern India's archaic and enchanting cities. Morning tour incorporates a visit to the highly ornamental Tirumala Nayak's Palace. It is 1 km from Meenakshi Temple. The main attraction here is the musical pillars and the pathway. Afternoon proceed by surface to Periyar. On arrival check-in at the hotel. Overnight at Hotel. Periyar Sanctuary. South India’s most popular wildlife sanctuary and home to bison, antelopes, sambar, wild boar, birds and even the odd tiger! Kumli, close to the sanctuary and where you’ll stay, is a pretty little town dotted with small spice and handicraft shops. There is plenty to do in and around Periyar, so we leave the choice to you. Enjoy an included boat ride on Lake Periyar to spot herds of wild elephants or visit the lush nearby tea estates. Overnight at HotelVisit the Periyar Wildlife Sanctuary Morning game viewing at sanctuary. Afternoon visit the Spice Plantations. Overnight at hotel. In the morning drive to the Kottayam Jetty to board a "Kettuvallam", the traditional Kerala House Boat. Embark on a cruise on the scenic backwaters towards Alleppey. The still lagoon will welcome you with palm trees lining on the shore. Watching the daily activity of the villagers will enrich your curiosity. The Chinese Fishing Nets set in the shore, and fishermen gliding slowly on the water, bunch of ducks swimming nearby the bank, birds chirping in the sky - all together presents a very pleasant picturesque worth to mesmerize you. You will stick to the deck watching the splendid scenery of backwater and taking sun bath. As you take your lunch, you will reach at Punnamada lake. This is the place where every year world famous boat race is organised. Cruising through the Vembanad lake will unfold a very panoramic view of the backwater full of peace and tranquility. In the evening, you will visit the paddy fields. It will give you better insight of the village life of Kerala as you will have opportunity to interact with the local villagers and will know well their daily activities. Overnight at Houseboat. Morning proceed by surface to Thrissur to witness the spectacular opening ceremony of Great Elephant March with 101 richly decorated elephants continue with elephant feeding. The Mela (Festival) with traditional folklorique orchestra of Kerala State. Afternoon elephant ride starts towards Vilangankunnu. Arrive Vilangankunnu, refreshments provided in a village fair and sale of artisans. Return to Cochin and overnight at hotel. Morning at leisure Later enjoy sightseeing tour of Cochin including visit at St. Francis Church and the 400 years old Jewish Synagogue. The Dutch Palace presents spectacular 17th century frescoes, court attire and numerous artifacts. Evening watch the Kathakali Dance Drama followed by Sea Food Specialty Dinner. Overnight at hotel. Morning proceed by surface to Alleppey to watch the snake boat race. Evening continue drive to Kovalam. "Paradise of the South". Kovalam is an evergreen and pleasant climatic beach resort.. With high rock promontory and a calm bay of blue waters, this beach paradise creates a unique aquarelle on moonlit nights. Kovalam was brought to the public eye by the Maharaja of Travancore. Over the past three decades, the place has been well developed, and now figures prominently on the world tourism map. The warm and clean atmosphere by the coconut trees and the white sandbed are perfect for relaxing holidays, as the seabreeze gently plays with the waves. Overnight at Hotel. Morning at leisure. Afternoon proceed to Trivandrum Stadium to witness the final and closing ceremony of Great Elephant March. Starts with 51 elephants with decorations and silk umbrellas march to the rhythm of music. 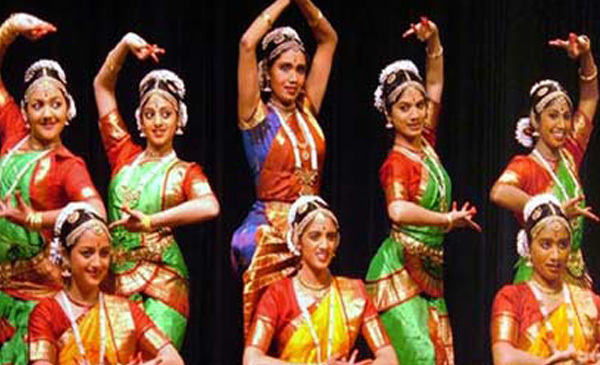 Witness the special Kerala folk dance. After that drive back to Kovalam beach to witness a spectacular fire works and Bar-be-Que dinner at Kovalam beach. Morning at leisure, in time you will be transfer to Airport for your flight back to home.